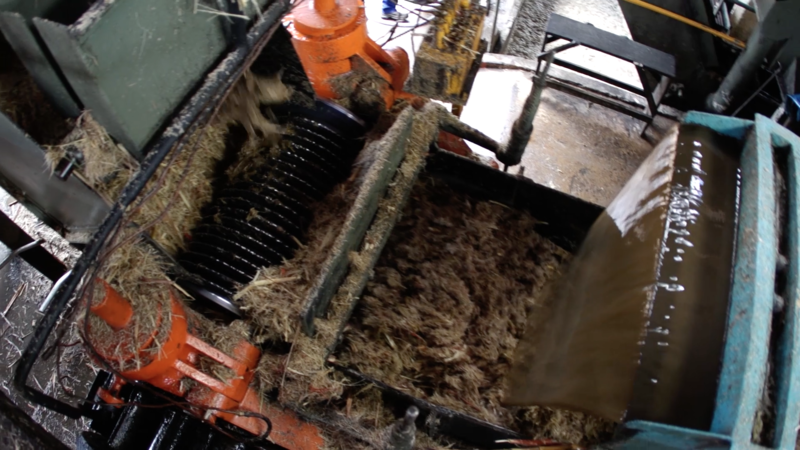 Soon after being cut, the sugarcane arrives at the mill, where, in a maximum period of 24 hours, it is placed on a mat to be defibrated and then pass through the mills. The extracted juice passes through a system of filters in which all the impurities are removed, only then being ready to be fermented. The São Paulo Mill is located in the municipality of Cruz do Espírito Santo, in the lowlands of the Paraíba River, 28 km from João Pessoa, capital of the State of Paraíba, in the Northeast of Brazil. It began its activities in the early twentieth century, with production focused mainly on brown sugar, honey and rapadura. At the end of the decade of 1930, with the decrease in the consumption of these products, the São Paulo Mill directed its production for the alembic cachaça. Since then, the industry has been growing and conquering the market. Today, it is the largest producer of Alembic Cachaça in Brazil, with an annual production capacity of 6 million liters. It has a large portfolio of cachaças, with its Traditional line of products, containing the following brands: São Paulo, São Paulo Cristal, Caipira and Caipira Mini. And its Premium line, with the brands: Cigana, Cigana Carvalho and São Paulo Amburana. 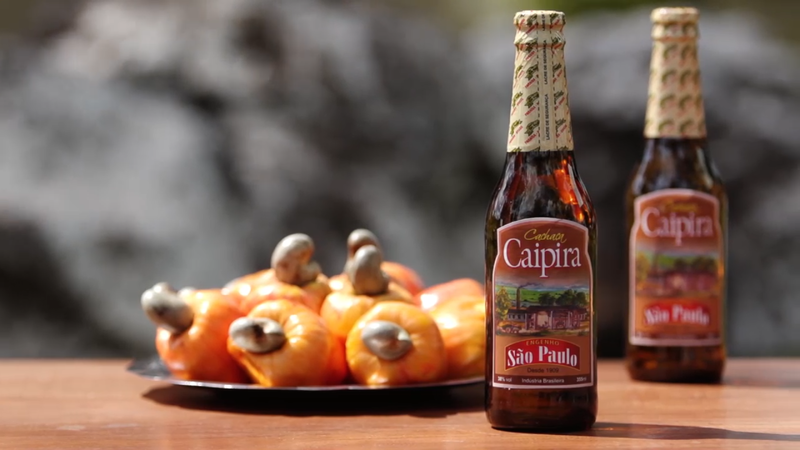 Today, 100 years later, São Paulo Mill has a modern industrial park that uses cutting-edge technology in the production of cachaça and a great differential in the fermentation process: all yeast strains used in its production process are selected from the cane sugar produced in the mill itself and then multiplied in its microbiology laboratory. 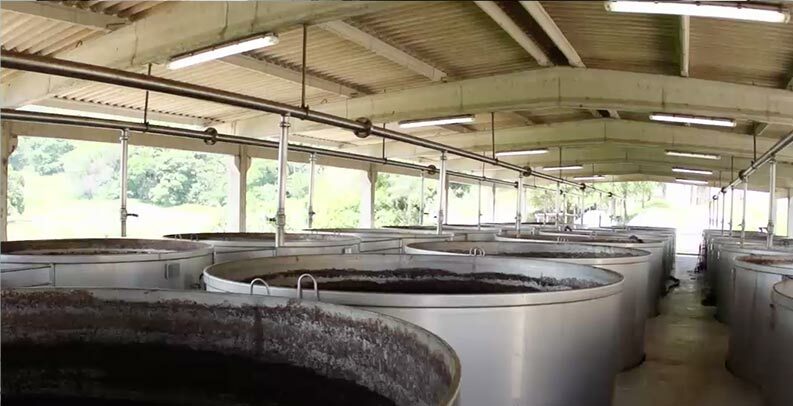 This control resulted in an expressive increase in production and productivity, in addition to the improvement in the quality of the cachaças that stand out among the most delicious in the country. Pinga, caninha, aguardente, call it whatever you want to. Our cachaça is sacred and has been in the history of the country ever since the Portuguese colonization era. Even today, it is not known for sure in which Brazilian state the drink began to be produced. But studies prove that, in the middle of 1660, the cachaça already circulated like a precious coin for barter of slaves. Recognized as the first distillate in the Americas, cachaça went through different productive and political processes, directly influencing the Brazilian economy. Over the years, it was sold clandestinely and consumed on a large scale by slaves, prospectors, sailors and even planters. It became the symbol of nationalism in the pre-independence era and is still known today as the most beloved drink in Brazil. At the time of the Abolition of Slavery, the cachaça experienced its sad side, by serving as a refuge for many newly freed slaves that suffered with the pains of hunger and misery. This period led to a decadence of cachaça, which was seen them as the drink of the " drunkards" and "loaded". Over the years, the caninha gained refinement touches and began to be consumed not only in parties, but also in the meals of the Brazilian family. Popular among all social classes, cachaça today inspires tales and legends, folk songs, and prayers, serving as the theme for classic sambas, marchinhas, frevos and serestas. It is difficult not to relate Brazil to the famous “cachaça”. After the filtration stage, the extracted juice is sent to the fermentation barrels. The alcoholic fermentation is made with yeasts selected in the mill itself. These yeasts turn sugar extracted from the cane juice into alcohol. At the end of the process, the fermented mash, called wine, is sent to the next stage. The entire process is monitored by our Quality Control Laboratory. This wine is taken to the copper alembic stills for the distillation stage to take place. It is heated by water vapor, causing the alcohol and other volatile substances to evaporate and then condense to form the distillate. The first part of the distillate and the last one, denominated respectively of head and tail, are eliminated. 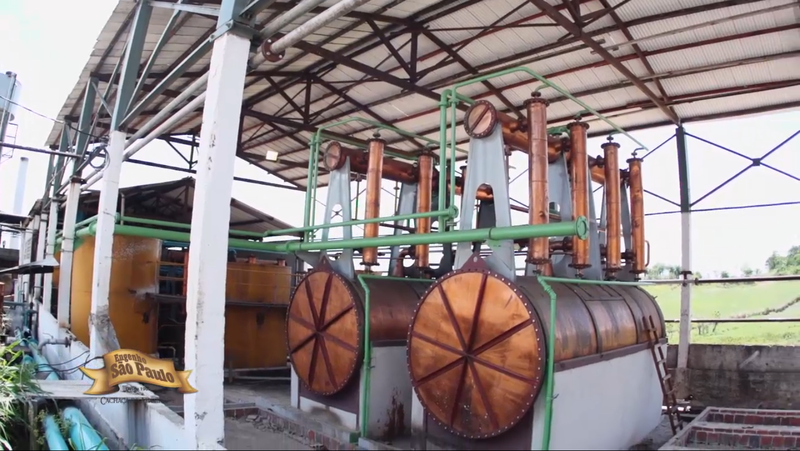 São Paulo Mill uses only the heart, the fraction of the middle of the distillate, for the production of its cachaça. After a rest period, in which the cachaça is stored in casks of freijó, amburana or oak, they are sent to be bottled. And then, they are ready for consumption.